The four-stroke diesel engine is similar to the fourstroke gasoline engine. They both follow an operating cycle that consist of intake, compression, power, and exhaust strokes. They also share similar systems for intake and exhaust valves. The components of a diesel engine are shown in figure 1-6. 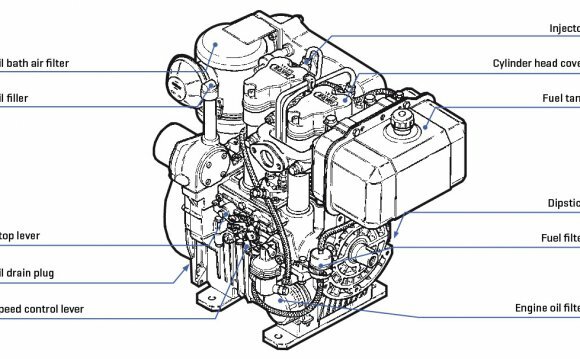 Figure 1-6.-Four-stroke cycle diesel engine. 1. The fuel and air mixture is ignited by the heat generated by the compression stroke in a diesel engine versus the use of a spark ignition system on a gasoline engine. 2. The fuel and air mixture in a diesel engine is compressed to about one twentieth of its original volume, while in a gasoline engine the fuel and air mixture is only compressed to about one eighth of its original volume. The diesel engine must compress the mixture more tightly to generate enough heat to ignite the fuel and air mixture. The contrast between the two engines is shown in figure 1-7. Figure 1-7.-Diesel and gasoline engines compression strokes. Figure 1-8.-Diesel and gasoline engines intake strokes. Figure 1-9.-Diesel and gasoline engines regulation of power. injection system. The air and fuel then mix in the combustion chamber (fig. 1-8). 4. The engine speed and the power output of a diesel engine are controlled by the quantity of fuel admitted to the combustion chamber. The amount of air is constant. On the gasoline engine, the speed and power output is regulated by limiting the air and fuel mixture entering the engine (fig. 1-9). A diesel engine is much more efficient than a gasoline engine, such as the diesel engine does not require an ignition system due to the heat generated by the higher compression, the diesel engine has a better fuel economy due to the complete burning of the fuel, and the diesel engine develops greater torque due to the power developed from the high-compression ratio. The strokes that make up the four-stroke cycle of a diesel engine follow. DIESEL ENGINE INTAKE STROKE.- The piston is at top dead center at the beginning of the intake stroke, and, as the piston moves downward, the intake valve opens. The downward movement of the piston draws air into the cylinder, and, as the piston reaches bottom dead center, the intake valve closes (fig. 1-10, view A).